Coach Wayne Hancock joined Special Olympics Georgia as a volunteer during the State Summer Games in 2004 and from there he never looked back. He was hooked! The following year he was certified as a Coach in Softball and led five athletes in the Softball Skills competition at a local Special Olympic event. Coach Wayne has helped establish a program that has grown to over 150 athletes competing in state level games. He coached the first competitive softball team for Special Olympics Forsyth County and led the team to their first State Fall Games competition success. In 2015 he and his softball team “The Originals” were able to represent Team Georgia as one of the teams competing in Special Olympics National Invitational Tournament. 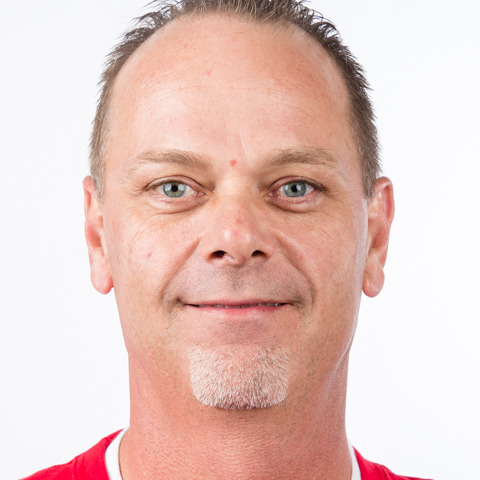 Wayne is certified to coach in multiple sports including Basketball, Flag Football, Volleyball, and competes as a Unified partner in Table Tennis. He was named 2017 Outstanding Coach of the Year by Special Olympics Georgia and is a 2018 North American Coach of the Year nominee. He also spends his time volunteering at the local food bank, is a youth leader at his church, and is the national coordinator of Project LIFE (a.k.a. LIFE@Siemens) a Siemens internship program for high school students ages 18-22 with intellectual disabilities with his employer. He is looking forward to the cultural experience and representing the USA, the state of Georgia, and Special Olympics Forsyth County on the global stage in UAE. He also hopes to bring home the gold with his teammate from Special Olympics World Games Abu Dhabi 2019!